January gives us a chance to start fresh. A chance to evaluate what is working in our lives and what isn’t. A chance to start a new routine or eliminate a bad habit. A chance to look at our natural defaults and intentionally tweak them or change them. One of the joys of working in Family Ministry is being able to suggest resources to families. I have been following Scott Turansky from biblicalparenting.com for many years and have heard him speak on numerous occasions. He is an expert in his field and he has good common-sense parenting ideas that work. The principles from his article “6 Things Kids Can Do When They’re Bored” are universal principles that can help you, too, as you begin fresh this January. Sometimes kids complain that they’re bored and other times you can just tell because they’re instigating trouble, getting into mischief, or just grumbling and complaining in general. Ephesians 5:15-16 reminds us: “Be very careful, then, how you live—not as unwise but as wise, making the most of every opportunity, because the days are evil.” Children need to learn to manage their time well. It’s a life skill that will carry through to adulthood. When you feel bored, what do you do? If your habit is to run to electronics you might want to consider other alternatives. The same is true for your child. Instead of just handing your child the iPad or turning on the TV, you might want to build some initiative. Don’t simply give your child something to do. Rather, give categories, brainstorm ideas, and then require that your child choose something. Recently, I was working with my grandson who seemed bored and I told him, “There are six things you can do when you’re bored. Let me tell you them and we’ll see which category interests you today.” We started through the process and I only got to number three before the lights came on and he became engrossed in an activity that took him hours. Remember, you don’t have to tell your kids what to do, or try to entertain them. This boredom problem isn’t yours. It belongs to your child. So teach your kids how to explore some options and choose something to do. By doing this you’ll equip them for the next times of boredom that they experience. Here are the six ideas. Take them one by one and brainstorm together what might be in this category. Creativity exercises certain pathways in your brain that bring satisfaction and enjoyment to life. Sometimes others will appreciate your creativity but the best reward is the internal sense of accomplishment that you created something. Reading a book, exploring in the backyard, or asking a difficult question can each result in new knowledge you didn’t have before. There’s a delight that takes place in discovery that makes the work involved worthwhile. You might talk to a neighbor, write a letter to grandma, or call your cousin on the phone. In any case, building relationship has special rewards. It doesn’t take long when you look outside or around the neighborhood to find something that needs to be done, and the joy of serving others provides the internal blessings that we are contributors in life. You might memorize a Bible verse, read a passage of scripture, create a prayer list, or do a Bible Study. God is working all around. It takes a thoughtful person to stop and see what He is doing. You might take a walk, ride a bike, or run at the park. Exercise releases endorphins that improve attitude and enjoyment of life. Notice that each of the above things are categories that might spark some energy inside your child’s head. Each one comes with a reward. Be sure to talk about that reward after the fact. Kids need to see that not all rewards in life are on star charts or out of someone’s wallet. The best rewards are those that develop in the heart. 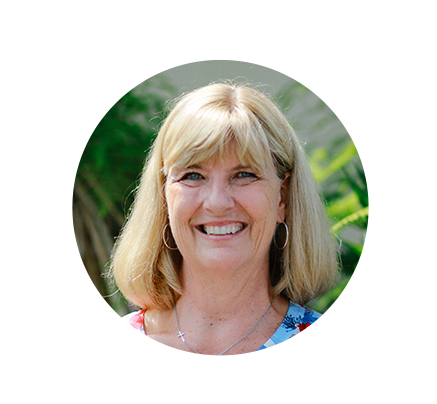 Cindy Offringa is the Family Pastor at CCC. She enjoys working with the kids, offering support and resources for their families, and creating fun experiences for all to enjoy. She has been married to John for 22 years and they enjoy spending time with their kids and grandkids. She enjoys walking, swimming with her sister, and reading. She is constantly amazed at (and grateful for) God’s love and grace.